I first found Laura's blog, The First Mess, through this post. 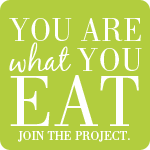 I was enamored with Laura's passion for eating seasonally and inspired by her wholesome meals. Her posts are warm, inviting, and I find myself bookmarking her recipes for later like this healthy version of biscuits and gravy and this delicious snack. I absolutely love her post about cupcakes. So, Laura what's your favorite food? Laura: I put it in so many things. Roasted root veggies, sauteed cabbage, my morning cup of tea, salad dressings... Plus it comes from the inside of a tree! So cool. Always love good maple syrup finds. 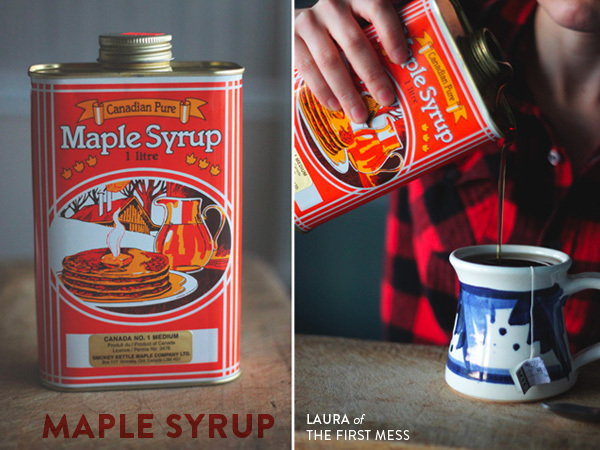 I know real maple syrup are quite spendy, but they are totally worth it. Thanks for sharing! How perfect! Canadian maple syrup for lovely Laura in Canada. the taste is simply heaven, I am in love with it too...some years ago maple syrup cookies were a big addiction of mine:-)happy new week!